Angels of East Africa was established by Sam Childers, whose life is portrayed by Gerard Butler in the 2011 film, Machine Gun Preacher. Angels of East Africa is a Children’s Village for orphans located in South Sudan dedicated to the rescue, restoration, and enablement of children caught in the crossfire of the rebel atrocities in the area. Founded by an unorthodox American pastor from Pennsylvania named Sam Childers, the organization has been operating for a decade, saving the lives of hundreds of children and renewing hope in a region where it had all but vanished. Specifically and most notoriously, the Lords Resistance Army (LRA), led by the spiritist warlord Joseph Kony, is culpable for the heinous crimes that plague the region. The threat of attack at the orphanage is a daily reality, but Sam Childers and his team refuse to let the LRA terrorize the children they have worked so hard to rescue and protect. Children’s Village is the only orphanage in South Sudan that refuses to move or retreat amidst increased rebel attacks or incidents of war. Every child’s story is a bit different, but a common thread binds them all; after experiencing what could only be described as hell on earth, they are eventually rescued by the soldiers and staff at Children’s Village. In a valiant effort that places even their own lives on the line, this devoted staff experiences life every day with these children in order to resurrect hope in their hearts. Following a life of violence and crime, Sam Childers found God. Encouraged by his Pastor in the US, he visited Southern Sudan in 1998 during the Second Sudanese War to repair huts damaged in the conflict. But when he found the body of a child torn apart by a landmine, Sam made a pledge to God to help the people of Southern Sudan in any way he could. In the face of the brutal rebel militia that had kidnapped 30,000 children and murdered hundreds of thousands of villagers – as well as mounting bills at home in the US that saw him lose his house and car – Sam established Angels of East Africa and built an orphanage that has since fed and housed over 1000 children. Today, 200 children still call the orphanage home. Sam Childers led armed raids to rescue thousands of children from the militia, earning him the nickname Machine Gun Preacher. 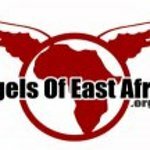 Google trends for "Angels of East Africa"
We don't have any videos related to Angels of East Africa.